Hi there, guest,welcome to Phoenix Feathers, the personal portfolio of phoenix_life. This site features a gallery of my artwork, graphics poetry and crafts but you can also request custom art or graphics. 15/05/2011-Became sister sites with The Portfolio and put a brand new layout up. 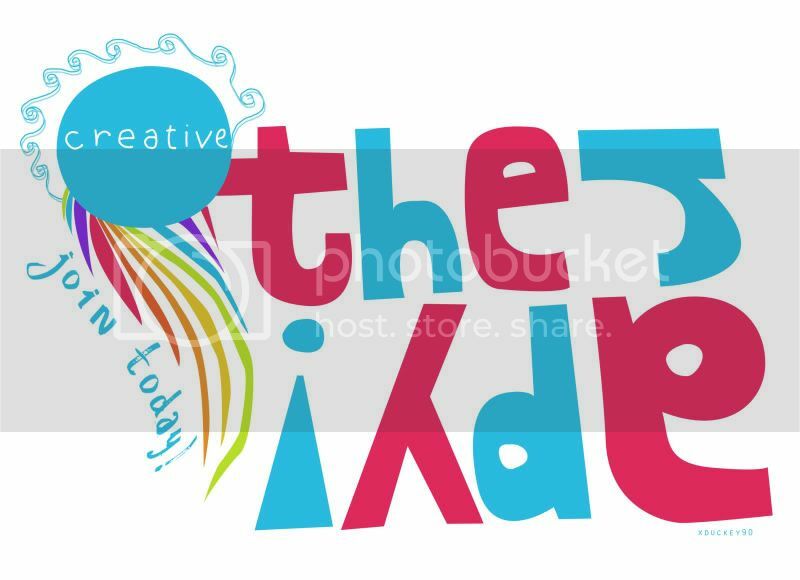 09/05/2011-New cupcake digital art and icons added. 03/05/2011-New poem 'Funfair' added and became affied with Inked. 23/04/2011-Banner and button added to graphics section. I would love to collaborate with fellow artists and graphics makers, so if you are looking for someone to help you with a project, neomail me! Art theft is against Neopets rules, and will be reported. Stealing any of my work is also a breach of Copyright Law. Please don't do it! If you want to use any of my work please neomail me (phoenix_life) and ask! I take requests for art, graphics and writing. Please check to see whether requests are open or closed then neomail the form below to phoenix_life to apply. I may be slow at dealing with your request as I work fulltime and have other part time responsibilities as well, so please appreciate that. Please fill out as much of the form below as possible. I will draw/digitally render pretty much anything but I'm better at non-neopets related. I can draw neopets but I'm not very good at anthro. Please give me credit with a link when you use my art or graphics, do not claim them as your own or alter them in any way without my permission. You may not use my art/graphics to enter any contests, neopets or otherwise. I'm a writer, hippie, artist, vegetarian, eternal student, daydreamer, animal-lover, philosopher, bookworm, dancer, idealist and lover of life. Likes:Blogging, salt and vingegar crisps, chocolate, dancing, writing, reading, Charmed, Buffy, Harry Potter, Indiana Jones, Superman, Star Trek, sci fi, comedy, tomato ketchup, wild cats, dolphins, Africa, the seaside, swimming, sunshine, fruit juice, bright colours, laughing, cycling, singing in the shower, making graphics, musicals, all kinds of music, the Sims 3, philosophy, the smell of grapefruit, the sound of a cat purring, pickled onions_ baking cupcakes, taking pictures, chatting, being creative, dreaming. Dislikes:Rude, ignorant or closed minded people, people that walk in front of you too slowly, losing things, peanut butter, arguments, housework, cruelty to animals, fake tan, Big Brother, getting up early. Neopets usernames:phoenix_life, creative_therapy, creative_therapyside and tizzy235. On my side account I run a multi-arts guild called Creative Therapy. It's for anyone interested in traditional and digital art, creative writing, baking, photography, crafts, music, dance, drama and more. Click on the banner below to visit it! Here is some of my traditional and digital artwork and crafts. Drag and drop on the url bar to view full size. These sketches, sculptures and paintings were made without any help from digital image software. These were mostly made on Photoshop by layering different stock images and using filter effects. Some of the digital images were made from a hand drawn sketch scanned into the computer and then colored in Photoshop. Cupcakes baked by me. Neomail me (phoenix_life) for the recipes! These were made using melt and pour soap base, cosmetic colors, cosmetic grade glitter, cosmetic fragrance oils and soap moulds. A large selection of my graphics which are free for people to use (as long as they give credit)can be found at Pineapple Premades. In addition, here are some of the pieces of graphics I have designed for various neopets projects. Please don't use these without my permission. Drag and drop to url bar to view full size. Here is a collection of my poetry, old and new. And I'd soar without a care. Ice-cream melting in the heat. Of knowing how you cared. Since you and I were there. It isn't fun, it isn't fair. Stillness and darkness envelopes me. Slow and steady and comforting. My body senses that it's time. I start to panic, writhing wildly. To stretch my tiny wings. A concrete wall to me. Until at last a little crack appears. Until finally my head emerges. I taste the air for the first time. But there's no going back now. A little ball of fluff with legs. And then I see her! Large and warm and comfy. Dreaming of the blue sky. And I percieve the truth laid bare. She can sense that there'll be trouble. In my head a siren's sounding. How dare she treat me like a child? I try to calm with all my might. Struggling to control the rage beneath. While she stands there smiling mildly. She won't fight back or even shout. The way she likes to watch me roast. When someone makes you feel a fool. Stretched out across the rack of time. But I won't talk; there's no one to talk to. Around its wide and mocking face. Dragged down by creeping quicksand. that shone like orbs of glass. But winter came to pass. With gnarled and twisted claws. Are hollowed to the core. With a shudder you feel him pass. That snap when the cold sets in. All this your soul will last. You're the only one to make me whole. You're the one who'll always see me through. I know that I've nothing left to fear. And I will keep them safe for you. Her smile was out of place. Looked like they were plastic. Her face would surely melt. But who would put them back? And if I got messy I didn't mind. Building dens and climbing trees. I wanted to hide my indecency. And my urge to climb trees dissolved away. This is the real me, this is the norm. Her modest hue speaks of gothic glamour. Beware my deadly spikes' she warns. To enchant all eyes that gaze upon her. The midnight gown conceals her heart. But she is as dead to the world as I. Missing or murdered; I don't catch which. And race to the bank to draw out some cash. Wonder exactly where my life went wrong. Everyone dances to this somber beat. A pattern that man is cursed to repeat. Totally oblivious to what you do to me. Opening doors in my imagination. The heart of an explorer and the soul of a poet. Which sounds like a whisper in an empty library. Than the fantasy of a lonely schoolgirl. That you are too good for me and can never be mine. You are my inspiration, my life's mentor. But can you teach me how to love again? Lost in a spring-time sea of blue. Where no more can they be hurt. There's nothing left of me to save. Ran towards her full of glee. Look upon our golden rings! Go before the stall is empty! Merchants called to wealthy faces. So with a shrug she passed on by. And some bread to feed her daughter. And gave to her what she could find. And placed a trinket in her palm. Fetching water from the well. It's worth more than your gems",she said. The stone was faded, caked in dust. It shone like sapphire in the sun. I write in the hope it will make me whole. I write 'cause I can't afford therapy. I like to write stories from time to time, and I'm currently working on a series of paranormal adventure novels called the Wild Spirits trilogy. Here are a few of my shorter stories. There she was again, flirting with him. Casually flicking her long golden hair over her shoulder and leaning towards him, front on display. She was shameless. She'd only been at this school five minutes and already she acted like she was best friends with everyone. Clearly she had no sense of boundaries- he was my boyfriend after all. Ahem", I coughed loudly and they both turned around casually. Oh hi Trina", Scott smiled inocently, his eyes lighting up when he saw me, then frowning as he comprehended my body language. "er..we were just talking about Rachel's uni applications. She's got an offer from Durham. Rachel's flawless smile spread across her face like a pink bow. Durham. My first choice of university. The university that made it clear they didn't want me. I had thought my grades weren't quite good enough, yet Rachel and I got the same A level results. What did she have that I didn't? Congratulations" I said frostily, just as the bell rang. Scott furrowed his brow as if confused by my sudden unfriendliness. It looked like he wasn't going to move from his seat next to Rachel, so I was forced to take the seat on his opposite side. I didn't like the way he was stuck in the middle between the two of us and was about to try to rearrange when Mrs. Black strolled through the door, her arms full of art materials. I perked up a bit then, remembering both that art was my ultimate favourite lesson and that it was the last lesson before lunch. You'll like what I have planned for today," Mrs. Black insisted. "We're going to do some freestyle painting. You can paint anything you like- a scene, still life, portrait, abstract or whatever you fancy. Just make sure you finish it by the end of the lesson, because I'm going to go around and judge them all when you're done. I'm going to pick the painting I think is the best and....it's going to be displayed in the new art gallery down town." There was a murmur of interest at this. The new gallery was very modern and rapidly becoming a cool place to hang out at the weekends due to the trendy cafe on the top floor overlooking the water. Those truly interested in art would give anything to have their artwork displayed there for everyone to see. I smiled to myself, remembering the compliment Mrs. Black had given me about my portrait last lesson. I had a pretty good chance at this. We all got out our equipment eagerly and got started. I stared at the blank canvas for a while, willing an idea to materialise, but nothing seemed to come. I glanced sideways and saw that Scott and Rachel were already daubing colourful paint onto the canvas. Eventually I came up with a brilliant idea- I would paint the vase of daffodills in front of me. I reached for the bright yellow paint and began splashing away. Every now and again I glanced across to see what the others were doing. Scott was drawing a car-it looked very square and average. I couldn't tell what Rachel's was even supposed to be. It just looked like a lot of random splodges to me-something that my little brother could have done at playgroup. I smirked to myself. This was in the bag. Finally, five minutes before the lesson ended, Mrs. Black got our attention and told us to stop what we were doing. I stood proudly next to my sunshine yellow canvas, the flowers popping out cheerfully. I was really pleased with the effect. Mrs. Black circulated the classroom pausing to look at each painting in turn. She paused a long time to look at mine, but her face was unreadable. Eventually she returned to her desk. Well done everyone," she said. "It's been a really productive lesson, you've produced some outstanding pieces of work. It was hard to pick just one painting, but there is one that I feel stands out. That would be Rachel De Montford's stunning abstract. I snorted loudly, believing she was being sarcastic until I noticed that everyone else was clapping, and I joined in, clapping slowly in disbelief and protest. It didn't even look like anything! Everyone pack your things away now, you can leave your paintings to dry here over lunch." Mrs. May announced. Miserably I began to throw everything into my bag. Excuse me, Scott?" Rachel simpered. "You wouldn't mind showing me to the library would you? I did go there once before but I'm not sure I remember the way. Sure!" Scott grinned. "Trina, you coming? No, you go without me." I said grumpily. "I have things to do. Okay, if you're sure..." Scott trailed off, sounding worried. I'll see you later." I said pointedly and they waltzed away together without a backward glance. I didn't really have things to do. I had no clubs to attend, no other friends to hang out with. The truth was that as I had packed my things away angrily a nasty thought had occured to me. That Rachel De Montford thought she was so great- just because she had rich parents who could afford to buy her designer clothes and buy her into posh universities. Well I wouldn't give her the chance to be big headed about this. Art was my thing, and whatever Mrs. May thought Rachel didn't deserve to have her stupid painting in the gallery. I was alone with all the paintings now, no one would notice me if I made a few adjustments to it...I chuckled wickedly. It would serve her right for being such a stuck up little cow. Trina, what are you doing in here? I was looking for you. I thought you'd gone down to the canteen but I couldn't find you, what are you doing?" His eyes wandered to the canvas beside me. It was a solid block of colour-bright green paint oozing off it and dripping to the floor. What is this?" I had to think fast. I put on a face like I was upset. Oh Scott, something terrible has happened! I was on my way to the canteen and then I remembered I'd forgotten my pencil case, and when I came back I found this! Someone has sabotaged poor Rachel's painting." I said, willing fake tears to well up at the corners of my eyes. "She'll be devastated. Who would do something like that?" Scott didn't speak for a long time. A very sad person." he said slowly, and he looked up at me with a face I will never forget. It was like anger, disgust and pity all rolled into one. What...I? You don't think I would...?" I stuttered, my face flushing. Trina, look at yourself. You have specks of green paint all over you- on your hands, your face, your hair..
We're going to get Mrs. May now." he said firmly. "You're going to explain to her what you've done and whatever crazy reason made you do it and see if she has got something that can clear up this mess before Rachel comes back for it." his tone was cross, like a parent disciplining a child. I had never seen him be so serious before. But Scott, you won't tell her...?" I pleaded. "What about us? You wouldn't do that me. Don't you care about me? Scott looked down at his shoes. "You're not the person I thought you were Trina." he said sadly, and then walked away, leaving me standing there staring at the bright green canvas. It was the colour of sickly pus. It made me nauseus and I backed away from it as if it could infect me. What had I done? Don't look so nervous," Fred laughed. "What's the worst that could happen?" What a question for someone with no idea how wizards celebrated Christmas. What if they expected me to engage in some strange magical game that I wasn't prepared for? What if I made some huge faux pas over dinner? A few seconds later the door was opened by a beautiful woman with dark skin and striking eyes. Fred!" she beamed, hugging him. "And you must be Annie. Welcome to our home." Freddie!" Fred was nearly bowled over by a little girl with coffee coloured skin and freckles. This is my little sister, Roxanne" he explained, prising her away from him. It's Roxie" she corrected, scowling at him. She led me through to the kitchen where there was a colourful clock on the mantelpiece that was singing Christmas carols, and a huge Christmas tree that seemed to be dancing along. Fred was trying to wrestle a present from it's branches but it was putting up a good fight. Stop that and go and call your father," Mrs. Weasley chided. Fred disappeared into the hall, yelling "Dad, dinner's ready, come on!" I could hear muffled bangs and squeaks coming from upstairs. He's probably testing more inventions for Weasley's Wizard Wheezes" Mrs. Weasley sighed. A few moments later, a lanky man with flame red hair appeared at the door, covered in soot. Oh hello there, you must be Fred's girlfriend," he grinned. He's always sending us gushing owls about you," Mr. Weasley continued, ignoring his sons desperate pleas. I could feel my cheeks glowing like Rudolph's nose. That's enough teasing, George!" Mrs. Weasley scolded. As Mr. Weasley turned his head to look at her, I had to suppress a gasp. There was a large dark hole in the side of his head, right where his ear should have been. To my horror he had seen me staring. Oh this?" he shrugged. "Had it cursed off a long time ago. One of my many battle wounds," he said proudly. Are we waiting for somebody?" I whispered to Fred. There were only five of us here, but the table seemed to be set with six places. Mr. Weasley chuckled. "It's alright, Annie," he said warmly. "I used to have a twin brother once. Fred here was named after him. He died in the Battle of Hogwarts, and we always set an extra place at the table at Christmas time, in honour of him. Oh, I'm so sorry, I didn't know." Yeah Dad and his brother were real heroes. They fought alongside Harry Potter loads of times. And my Uncle Ron is Harry Potter's best friend". Wow," I said, but that didn't quite do it justice. Even a muggle-born like me had heard of Harry Potter and the Battle of Hogwarts. I had a feeling that the Weasleys were a very special family indeed, and I couldn't wait to find out more about them. Some of these buttons were not made by me, please click on them to visit the credit site. The Portfolio is a cute cupcake-themed site featuring traditional and digital art, photography, writing and crafts by the talented Chels (feirycupcake). Chels is one of my council members in Creative Therapy and a really creative, helpful person. She offers digital art, traditional art and writing requests. Head on over there today to get inspired! If you would like to be affies with me, please neomail me (phoenix_life) with the name and link to your site. I only accept art, writing, graphics or other creative kind of sites thaat offer requests, premades, tutorials, galleries etc. Please also give me an 88x31 button. None yet. If you would like to review me, please drop me (phoenix_life) a neomail. Layout made by phoenix_life using images from dev art and base coding from Sugary Premades. All art, writing, graphics, photography and crafts are the property of phoenix_life unless otherwise stated. In some cases the digital art/graphics were made using stock images from dev art. Open/closed signs, button placeholders and neomail icons by Foomanshu.